With a new satellite terminal nearing completion as well as an underground passenger transportation system, Munich Airport in Germany is expected to draw a record number of passengers this year. In fact, the airport set a new record for the first half of a calendar year with 18.7 million passengers from January through the end of June. "We also expect to report a new passenger record for the entire year that will probably come close to the 40 million mark," said Dr. Michael Kerkloh, the President and CEO of FMG, the Munich Airport operating company, in remarks at the Munich Press Club. The one percent increase in passenger numbers in Munich in the first six months mainly resulted from gains in international traffic: With some 2.9 million passengers – a gain of five percent – the intercontinental segment showed above-average growth compared with the previous year. The number of travelers using flights between Munich and continental destinations was up 1 percent to more than 11.2 million passengers. By contrast, traffic within Germany was down by approximately one percent to 4.5 million passengers. Munich Airport is near completion of its new Terminal 2 satellite building. In the coming months the remaining facade sections will be closed and the roof completed. At the same time, the interior work is proceeding on schedule. By the end of the year the first vehicles for the underground personal transportation syste (PTS) between Terminal 2 and the satellite will go into position. Construction work on the satellite is due for completion in 2015. The new midfield terminal will increase Munich Airport's annual handling capacity by approximately 11 million to approximately 50 million passengers per year. But that still won’t put Munich into the Top 10 of the world’s busiest airports, or even make it German’s busiest airport. 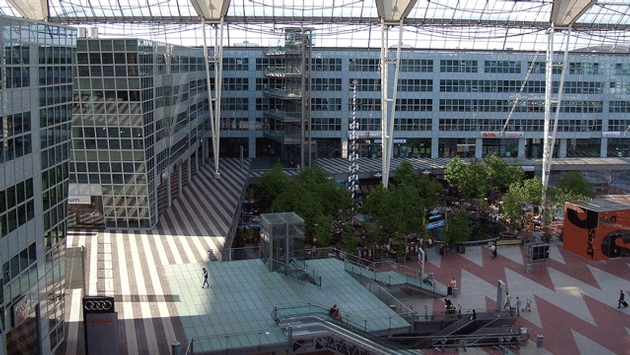 Frankfurt International handled 58 million passengers last year. 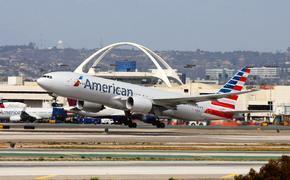 Here’s a look at 2013’s busiest airports by passenger traffic.